The Law Offices of David N. Sloan, ESQ. • David N. Sloan, ESQ. is Fluent in Korean and Spanish? • David N. Sloan, ESQ. Will Make Hospital and House Calls to Clients? • David N. Sloan, ESQ. handles cases in both New York and Connecticut? The Law Offices of David N. Sloan, ESQ. specializes in all aspects of personal injury including truck accidents, construction accidents, automobile accidents, slip and fall cases, defective products and medical malpractice. A Former instructor at Queens College, CUNY, paralegal studies in Litigation, David N. Sloan has had his own practice since 1987. We have had many substantial verdicts and settlements. $2,000,000 settlement for a 68 year old construction worker who was severely injured when a ceiling collapsed while he was working on a ladder. $2,000,000 settlement for a 68 year old construction worker who was severely injured when a ceiling collapsed while he was working on a ladder. | $1,250,000 settlement for a 29 year old male who was seriously burned when an outdoor grill exploded due to a defective propane tank. | $850,000 settlement with the City of New York for a 49 year old male whose vehicle was struck by a New York City Dept. of Sanitation vehicle and caused significant neck and back injuries. | $1,500,000 settlement for a 50 year old construction worker who fell from a scaffold causing multiple fractures and surgery. | $1,300,000 settlement of a 61 year old construction worker who fell from a defective ladder causing lumbar fractures and surgery. | $950,000 binding arbitration award for a 49 year old woman whose vehicle was struck by another car which passed a red light. The woman sustained numerous neck and back injuries with resultant surgery. 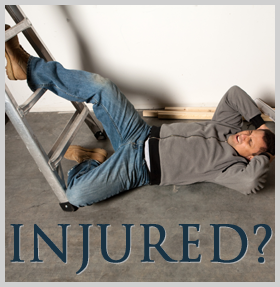 | $700,000 settlement for a 61 year old construction worker who fell from a ladder sustained a serious injury to his foot and ankle.